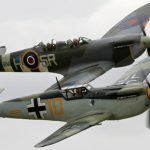 The Battle of Britain Air-Combat Experience is a unique 3 ½ day event which will culminate in the ultimate Battle of Britain experience, a scramble in a dual-seat Spitfire from a dispersed airfield location to intercept and dogfight with an ‘enemy’ Me109. This experience is crammed with extras. Your journey will enable you to see this epic struggle through the eyes of Winston Churchill, Air Vice Marshal Sir Keith Park and a front-line fighter pilot operating from a dispersed airfield on the front-line. 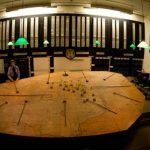 You will start at the Churchill War Rooms in Central London to hear how Churchill led the country before moving on to the RAF’s 11 Group operations bunker (hidden away 60 feet underground in Uxbridge) to see how the battle was coordinated by AVM Park. 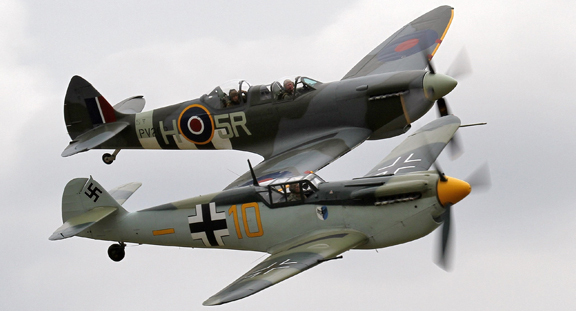 Lastly, you will arrive at our purpose built Spitfire dispersal area at Headcorn Aerodrome in Kent. Here you will become ‘one of the few’ and join No. 66 Squadron to actively participate in an authentic re-enactment of a day in the life of a frontline fighter pilot during the Battle of Britain. In the late afternoon of Day 1 you will meet our team and check-in to our partner hotel in Central London. At 6.30pm you will assemble with the rest of the group in the foyer of the hotel and be transported to the Churchill War Rooms where you will enjoy a private reception and dinner. 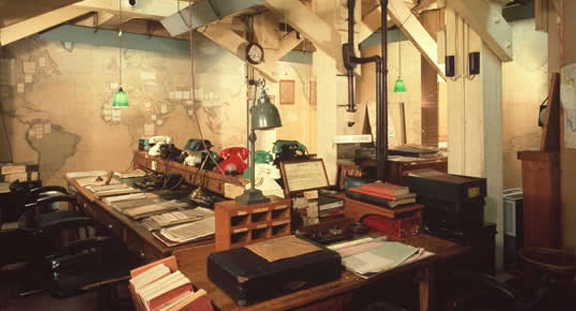 Highlight of the dinner will be our after-dinner speaker who will bring to life the Battle of Britain through the eyes of Winston Churchill, after which you will have some time to explore the bunker and its exhibits further before our transport takes the group back to the hotel. After breakfast at the hotel on Day 2, our transport will arrive to take you to the 11 Group Operations Bunker at Uxbridge. This is where AVM Park planned and coordinated the RAF’s response to the Luftwaffe assault on South East England during the summer of 1940. Remarkably this piece of history has been preserved in its original condition and with the expert guidance of the knowledgeable experts that take care of this historic site, you will easily be able to visualize and experience how this critical nerve-centre operated so successfully throughout the Battle of Britain. 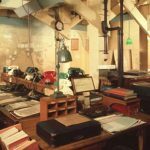 The tour will include a walk through and discussion of the key events that unfolded on the 15th September 1940, the day historians now point to as the day the Battle of Britain was won. After lunch at the 11 Group Operations Bunker our transport will take you to Headcorn, the venue for the ultimate part of your experience. On arrival at the 66 Squadron dispersal area you will be briefed on the activities for the remainder of Day 2 and allocated to either ‘Red Section’ or ‘Blue Section’ with whom you will conduct the flying part of your air-combat experience (over Day 3 and Day 4). For the remainder of Day 2, you will be given instructions on the equipment you will use for the fighter pilot experience, flight safety briefings, a close-up of tour of TD314 (Aero Legends’ own single seat MkIX Spitfire) and a familiarization tour of our purpose built Squadron dispersal area. At the end of this Red Section will commence their experience and remain on the airfield, Blue Section will be taken to the Weald of Kent Golf Course and Hotel where they will check-in for dinner, bed and breakfast. Red Section - Programme Day 3* On the evening of Day 2, Red Section will be taken back to the Stores Section at ‘Kilo Dispersal’ and issued their kit bags before being allocated a bunk in the tented Officer’s Mess. After changing into their uniforms the new Squadron pilots will be mustered for a parade and inspection by the Squadron Ops Officer before being addressed by their new Squadron Commander, following which they will be dismissed back to the mess to enjoy the culinary delights on offer from the field-kitchen, and the hospitality of the mess bar. An end of day Ops Briefing will set the scene for Day 3 (which will be staged as 15th September, 1940) and Red Section will be encouraged to get an early night in preparation for what is expected to be a very busy day for all of the Squadrons in 11 Group. Reveille will be just after dawn. After ablutions and breakfast, Red Section will be given their Daily Operations Briefing and brought up to increased readiness at 0600hrs. All pilots will take their turn to be brought to ‘full readiness’ and wait next in line to scramble on the orders of the Station Operations Centre. During the day the airfield will be subjected to multiple air attacks and our new pilots will each in turn have the opportunity to scramble to meet the enemy (Messerschmitt Me109 equivalents), engaging them in air-combat, patrolling along the iconic white cliffs and returning to the airfield at Headcorn for a victory roll before landing and taxying to the dispersal for tea and medals! 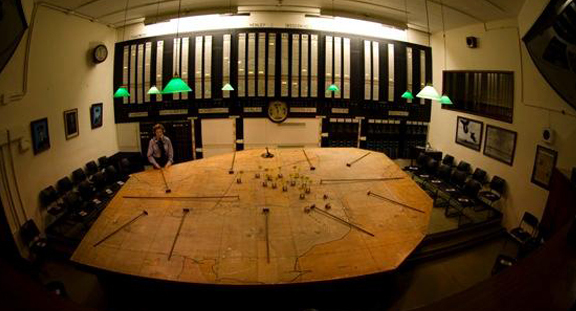 Once 11 Group declares air operations complete for the day and Red Section is stood-down, the mess bar will be opened for a well-earned beer and chance to talk through your mission with the rest of the Section. The evenings entertainment will be just beginning though. In true RAF fashion, the post combat operations celebration will soon be in full swing (excuse the pun) in the form of a hangar party, buffet dinner and dance. A 1940’s dance band and singers will be on hand to get the party started and Red and Blue Sections will be joined by the volunteer crews who have helped with the re-enactment throughout the day and other guests who want to join in the fun! Once the adrenaline has subsided a little, it will be a change back into ‘civvies’ and then transport to the Weald of Kent Golf Club and Hotel, where your day in the life of a fighter pilot will draw to close and you will enjoy bed and breakfast before Day 4. Red Section - Programme Day 4* A change of pace for Day 4. You will now experience the same day but as a VIP spectator of the event. Your VIP status will enable you to access all of the spectator areas the airfield air-defence section (where .5 Brownings are deployed to engage enemy aircraft), the Merlin ground-runner and the Aero Legends Crew Room for refreshments throughout the day. You will also have the choice of one of three additional flying experiences: a Spitfire fly-alongside flight in a DeHavilland Devon, a Kent ‘Landmark Tour’ in a Percival Prentice or a trial flying lesson in a Tiger Moth. Once air operations are declared over for the day, you will join Blue Section again for the closing remarks and presentations. All of our pilots will receive framed certificates and an Aero Legends flying suit with a set of souvenir wings and patches. A memory stick containing photos and video footage of your day will be posted out shortly afterwards.